The ever increasing popularity of Android is hugely influenced by the gigantic number of third party apps. 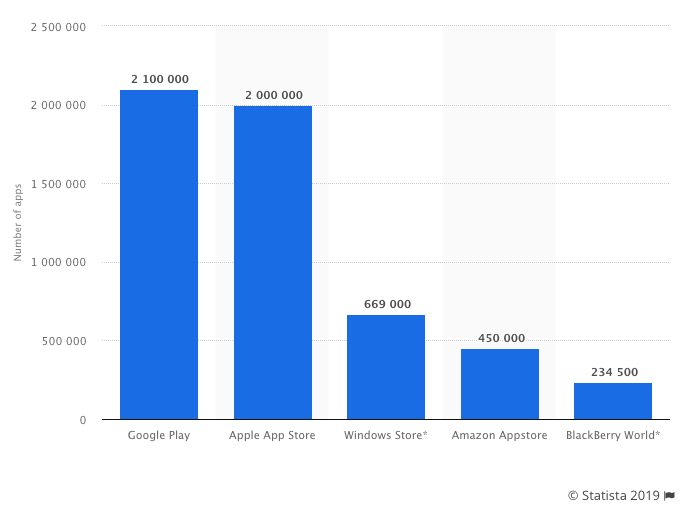 With over 2.1 million apps available via Google Play alone, the Google made OS even beats Apple’s iOS in terms of app availability. On the other hand, readers may recall the death of the Windows Mobile platform, primarily because of the lack of apps. Samsung, being one of the largest smartphone makers in this planet, dropped Windows Mobile support a long time ago. After a brief amount of tinkering with Tizen, they solely dedicated their resources to Android for designing phones and tablets. 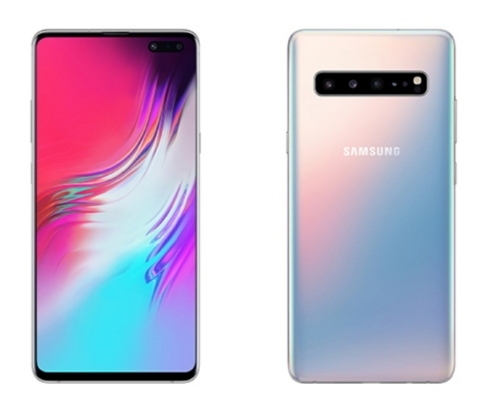 The 10th anniversary edition of the Samsung S series aka Galaxy S10 unveiled a number of cutting edge techs, such as in-display ultrasonic fingerprint scanner, ‘Infinity-O’ display with punch hole front cameras and support of 5G (via a particular variant). Samsung’s skinned version Android in the Galaxy S10, known as One UI, comes preinstalled with a number of inbox apps. Some users consider them a bloatware, and we wrote an article to show how those unwanted apps could be removed – even without root. Nevertheless, people are always looking for innovative (sometimes funky) apps to enhance the UX of their phones. In one of our previous stories, we highlighted a couple of such apps. Love the phone but can’t deal with the punch hole(s) on the gorgeous AMOLED display? Legendary Android developer Jorrit Jongma, popularly known as Chainfire has you covered with his Hidey Hole app. 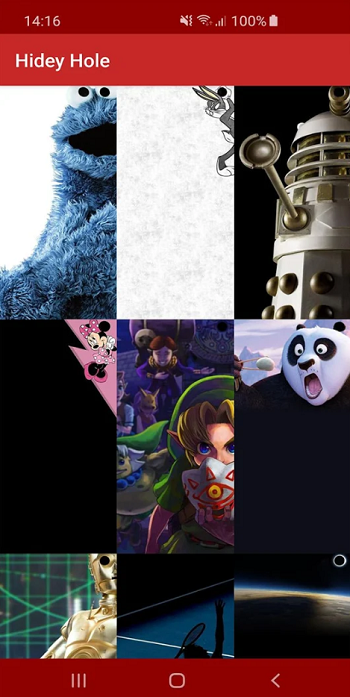 The app automatically aggregates community made wallpapers that can ‘obscure obscure the camera cutout (hiding the hole)’. It also gives users the ability to re-align/scale images. Shameless advert, but PiunikaWeb also maintains a curated list of these ‘hole punch’ wallpapers. Please take a look at this post to pick one from the collection. Chainfire unleashed his true potential by publishing Holey Light in order to emulate the missing notification LED of the Galaxy S10 lineup by illuminating the edge of the front camera hole. The developer has open sourced the app, and he is constantly bringing new features as well as fixing existing bugs. You can find the support thread here. XDA member epicality came up with Arc Lighting, which is another app to bring the notification LED features via camera cutout animations. Moreover, the app supports plethora of customizations. It’s extremely customizable and has endless combinations of setups. For example, there’s a setting category called ‘Default Effect’ which lets you have a solid color, dynamic color (based on the current app), smooth gradient or a sweep gradient, and also lets you run a rotation animation on it. In addition to that, you can set up different indicators such as a charging indicator, a low battery indicator, a critical battery indicator, a low battery indicator, a notification indicator, a device overheating indicator, and an audio visualizer. In addition to all of that, you can add a glow effect to spice up any of those indicators. 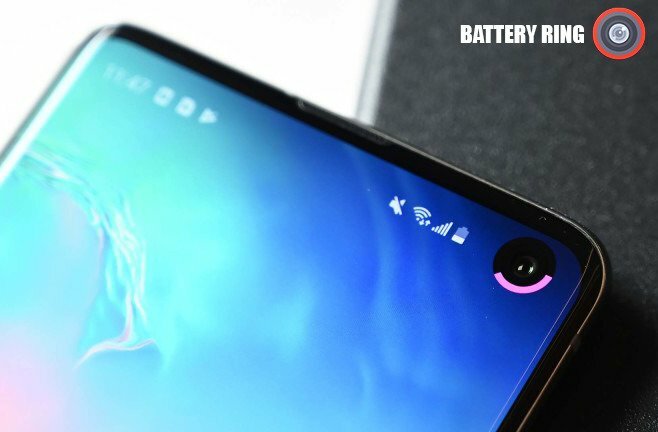 As you can predict from the name of the it, this nifty little app can create a ring around the cutout to display the remaining battery juice. The developer made the app truly portable, thus it should work on other phones besides Galaxy S10 lineup. You can grab the app from Google Play (Free, Pro) or XDA forums. 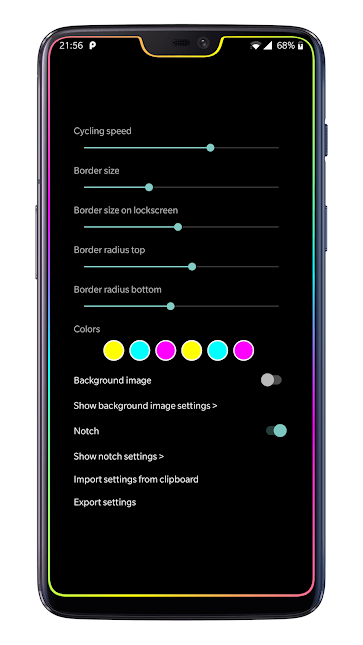 Originally developed for OnePlus 6, Borderlight shows a slowly moving colorful border around your screen’s edges. You can think it as a more artistic enhancement as well as replacement of the built-in Edge Lighting feature. You can reach out to the developer via the official support thread. Tired of the limited collection of fonts offered by Samsung? Can’t find your favorite comic font in Galaxy Store? Using Wings Font, you can choose from hundreds of new fonts from the built-in font catalogue. Moreover, they can supply local TrueType Font (TTF) files as well. The Galaxy S10 phones are supported by the release candidate version of the app. For more details and download links, click here. 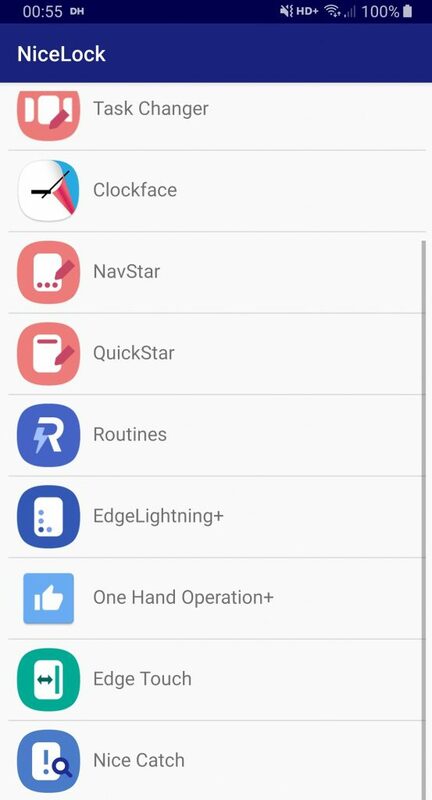 Using bxActions, it is possible to completely remap the Bixby button to any action or app you like. You can even completely disable the button. Double and Long press support! 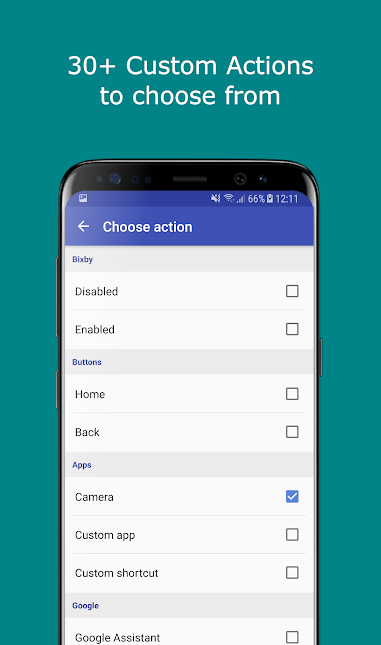 Remap the Bixby button to any action! Remap the Volume buttons to any action! Here comes the first Samsung made app in the list – SoundAssistant. For a granular audio control, this is a must have app. This app can be downloaded from Google Play or Galaxy App store. Block system-wide ads – check; no root access required – check; no background service – check; no battery drain – check! If you don’t mind little amount of manual configurations, opt for Adhell3. 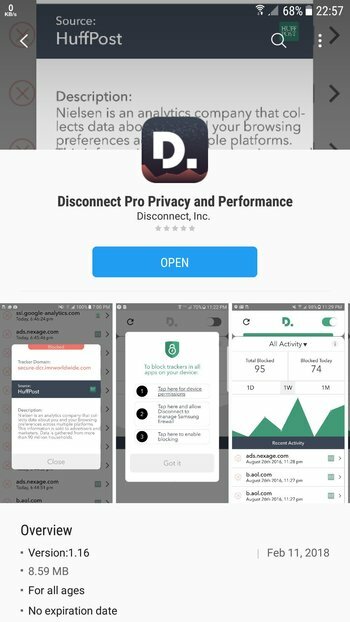 On the other hand, if you don’t mind to pay $25 for one time, then search for Disconnect Pro in the Galaxy Apps. You guys should already know how Google Camera ports can dramatically improve the camera performances, especially in the low light conditions. Interested readers can find compatible Gcam ports for their Snapdragon Galaxy S10 models (US, Canda, Hong Kong) here and Exynos Galaxy S10 models (rest of the world) here. FYI, the Exynos port is little bit inferior than the Snapdragon one, as few features are not working on the former one. I know, I know – Magisk is not a typical app. But once you’re rooted with Magisk, you can literally do whatever you like! You can use iOS emojis, change your boot animation, install Google Pixel exclusive apps – the list just goes on! Are you already using any of the suggested apps? Let us know by commenting below!